I've noticed a couple of strange examples of glove use lately that I figured that I'd share. The first is at the gym. The attendant at the counter has a nice pair of latex gloves on and when I questioned him about them he told me that he had a cold. hmmm. The other is a cashier at a large grocery store. She has donned a pair of what looks like the gloves you might wear when stripping furniture. I can only imagine that she is trying to avoid chicken squeezins at the check out line. Let's take a look at both instances. I don't think either ever changes gloves nor do they take them home and wash, rinse, and sanitize the lovely hand ware? What are they accomplishing? Doing a great job of sharing bacteria all day and then bringing the bugs home with them. What do they do with the gloves when using the restroom? An interesting thought isn't it? Are they protecting themselves? They certainly aren't doing the general public any favors, unless they are frequently washing their hands and changing gloves, which they are not. Are they protecting themselves? They would be better served by taking frequent hand washing breaks and avoiding nail biting. Just a little something to ponder this cold afternoon. Why are tomatoes better in the summer? You're eating local produce grown by a local farmer in local dirt. In December that tomato you're thinking about buying was either grown in Mexico, California, or in some hot house. It was picked before it was ripe, shipped to some warehouse and then trucked to your local supermarket. No wonder it tastes like a sock. What does this have to do with Food Safety? Would you be more comfortable eating fruit bought at a road side stand on hwy 24 or grown somewhere in Chile and transported forever by whomever? Where did the water come from that irrigated the plants? Did most of the employees use the Porta Johns? Buy local , Eat local food, prepared properly by people who washed their hands!!! Ok, you thawed the bird in the fridge for 3 days, cooked it until it was dry as the Sahara, so why should I be concerned today. I'm feeling ok this morning: no abdominal cramping, only a slight headache, which I'm sure is from a pecan pie over dose and has nothing to do with the Bourbon my brother in law made me drink. Now we must think back to how long all of that holiday fare spent on the buffet basking in the Temperature Danger Zone (41f-135f), before we finally started cleaning up and putting the leftovers in the fridge. Was it over 2 hours? Maybe 3? I know I don't have to worry about the deviled eggs. Charlie always kills those in no time. How to sell your favorite dishes? It's not as easy as deciding your going to make a bunch of your famous shepherd's pie, freeze it, package it and sell so many pans of it that the bank will tell you to slow down because they are overflowing with your deposits. Do you have a repeatable recipe? Do you have reliable suppliers? 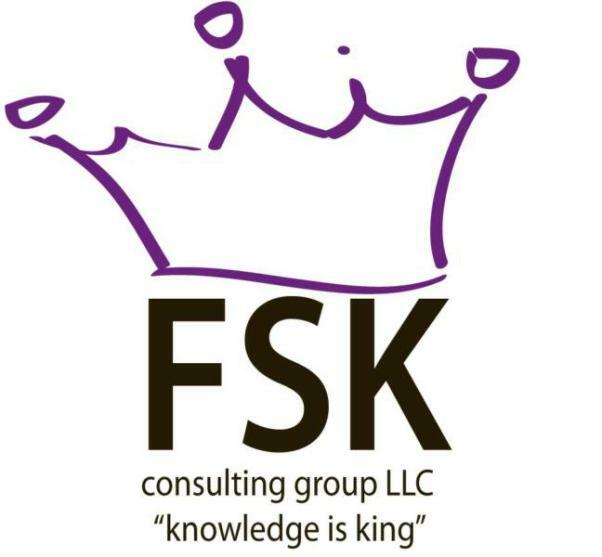 I'll stop here because you're now picking up the phone and calling FSK Consulting. Excuse me, I've got to get the phone!!! It's melon time and cantaloupe is the best!!! Buy local and eat as much as you can while they are in season. Remember Mexico and Arizona are not local when you live in North Carolina or New Jersey. Melons taste great and are nutrient dense, but can be a Food Safety nightmare. Clean the rind thoroughly before cutting and not just with water. Know that the knife you use to cut the melon will drag any bacteria from the surface through the meat of the melon. Melons will grow bacteria like crazy. After you cut the melon get it in the fridge and keep the melon cold (below 41F). 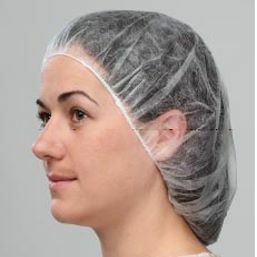 Put the hairnet over your hair and make sure all of your hair is tucked inside of it. If you are a girl, you will need to follow the next few steps. Flip your head upside down. Make sure all of your hair is down and not in its normal position. Take the hairnet and spread it apart. Start at the tips of you hair and work your way to your head. When you get to your head make sure all your hair is in the hairnet and also tuck in any fly aways. I think this makes a lot of sense. We all take a look at the inspection grade that our favorite restaurant proudly displays in their lobby. We all know by now that an "A" is not always as good as it should be, but is it better than our home kitchen? I know that we all think that we do a better job at home than many of those minimum wage high school kids working in the back of the Barney's Burger Barn. It's scary to think that Barney the multi millionaire risks his fortune daily on the operational excellence of an 18 year old keeping his place clean and safe. I'll bet you that most of those places where you take your family for lunch are cleaner and safer than your kitchen counter. Barney's adolescent cleaners may not be as focused as Barney would like, but they do wash, rinse, and sanitize all of the surfaces in the back of the Burger Barn or at least they're supposed to. You however, don't have the County inspector to worry about, so when was the last time you sanitized your counter, checked the temperature on the top shelf of the fridge or maybe cleaned out the produce crisper? Hmmmm? Sanitizing is not wiping the counter with a dish cloth rinsed out with kinda warm water. Something to think about; why not take a Food Safety Class or better yet, call a local Food Safety Consultant for an in house consultation? It could save your family from that next case of the 24 hour stomach flu or worse. How much bacteria can a sponge spread around a kitchen? The answer is; it depends. In a home kitchen the sponge is a major culprit in moving bacteria from surface to surface. It's supposed to be a cleaning tool, but most people only clean and sanitize their sponge after hearing of an outbreak of salmonella on the evening news. The normal cleaning procedure after putting the dishes in the dishwasher is to wring out the sponge or dish cloth with kinda warm water and wipe the table and counter. The result is moving bacteria from surface to surface. 100 F water doesn't kill anything. The counter may look better, but under a microscope it would be scary. At a minimum clean your counters with warm soapy water, rinse with clear water, and let them air dry. Throw your damp sponge in the microwave for a minute to kill the bugs or better yet, throw the sponge away and wipe with a disposable towel. Sponges are the salmonella suite. You may not be able to do exactly that, but eating local at the very least you'll have a better idea of what is going in your mouth. What would you feel more comfortable eating; a fresh tomato from your back yard garden or a zucchini from Chile? How about a steak from the cattle rancher in Hillsborough, NC or a burger made with ground beef from some processor in the United States or Canada? Your grandparents didn't have much choice. They ate local produce, got meat from the neighborhood butcher and by the way, they could eat that burger rare if they wanted to. They were better off for it. Why must we eat fresh cantaloupes in the winter? They taste like nothing, but let's eat it because we can get one from Mexico anytime. I prefer to only eat melons when I can get them from the produce stand in Cape Carteret, NC in July or August. They were grown 10 miles away and are delicious. Eat local!!! Eat what is in season! Support your local economy. Go to your local Farmer's Market. It's safer and it tastes a lot better too. Thermometers should be handled with care and stored properly to prevent damage. Prevent cross contamination by cleaning & sanitizing before putting it into food product. Wash, rinse, sanitize and air dry before and after each use. An alcohol swab may be used to sanitize the thermometer. After sanitizing, return the thermometer into its clean, plastic case or holder for storage. Calibrate the thermometer regularly (several times a week) and as needed. As needed is defined as after exposure to extreme temperature changes or after the thermometer has been dropped. Place a 50-50 mixture of ice and water in a cup, mix thoroughly so the temperature is uniform throughout the container. Insert the thermometer stem into the 50-50 mixture & wait for the needle to stabilize. The temperature should read 32F. If not at 32F, turn the hex nut under the head until the indicator reads 32F. Note: Digital and Laser thermometers cannot be calibrated, however they should still be verified as accurate. Use the above method for digital thermometers. For laser thermometers, point the laser at the ice/water slush and verify to be 32 degrees. Discard when no longer accurate. Infested Eatery, What would you do? I saw a tweet this morning from @zeprep asking the question; What would you do if you saw a live insect in the restaurant in which you were eating? Before I get started I will have to issue the disclaimer that as an old P&G guy the use of the zeprep's tweet certainly is not a endorsement of Zep products. However, it is a great question. Many people would ignore the pest, thinking that this place reminds me of home and would continue to dine there out of a need for having a good old nostalgic feeling. Some would point it out to other members of their group and swear they would never return, but not say a thing to management. You don't want to hurt someone's feelings do you? Others might immediately go to management and demand a free dessert, which may or may not have had said bug running around on that chocolate mousse. My response to zeprep was the best and I hope you try it if presented with the opportunity. Get up, stomp on the bug, pick it up in your napkin, and present it to the manager on your way out never to return. Lesson; Don't sit by passively and allow your fellow diners to possibly be infected. You don't have to make a scene. Annoy PETA, kill the bug so he will no longer be a threat, but make sure that management knows of the problem and does something about it. Be Bold!!!! Food Safety starts with you!!!! Floor sanitation is one of the most important cleaning tasks that you do every day. Dirt, food, grease, garbage, and other debris are excellent harborage material for bacteria such as Listeria to live and multiply. Taking the time to wash, rinse, and sanitize the floors nightly provides a “kill” step to eliminate these dangerous pathogens. Simply sweeping the floor is a great start, but proper floor maintenance requires the addition of a cleaner and Sanitizer to effectively maintain the floor sanitation. Clean floors are great for your location for many reasons. Customer perception. Surveys tell us that customers perception of cleanliness is largely determined by floor cleanliness. Employee Safety. Dirty, greasy floors make for a dangerous work environment and possible slip/fall acccidents. Food Safety. Dirty floors means dirty work surfaces. As employees work throughout the day, dirt from the floors is stirred up. You might not see it but very fine particles of dirt, debris and bacteria can settle on work surfaces including cutting boards, slicers, knives, bowls, packaging items, scales, and table surfaces. Pest Control. Pests like mice, roaches, and flies are attracted to decaying material that can be used as a food or water source. Keeping the floors clean, including under storage racks and tables reduces the opportunity for pests to make a home there. ** One last important point is the final step of floor cleaning - drying the floor. Pooling of water is a dangerous risk. It provides moisture for bacteria to grow and walking through the puddles can cause cross-contamination risks. After final sanitation, squeegee the floor thoroughly so that there are no pools of water. The recent cantaloupe outbreak in which 32 people died from Listeria traced back a possible source to the pools of water in the processing area. Clean Floors are an important part of your business and requires due diligence daily! Norovirus is raising it's ugly head again, causing some nasty gastrointestinal distress. That's the medical term for the Kentucky Quick Step, Tennessee Trots, or the Hershey Squirts. What's the best way to avoid this dreaded malady? Wash your hands with soap, warm water and dry your hands with a disposable towel, especially after using the restroom. Most importantly tell your friends and family to do the same. Norovirus is not affected by those good and bad bacteria killers, alcohol sanitizers. We all know, don't we, that in the long run hand sanitizers will be the death of us all, by killing off the good bacteria and promoting the growth mutant bacteria monsters. Hand Sanitizers are no replacement for hand washing. I always enjoy watching the ministers as they prepare to distribute communion at my local Catholic Church. They en mass file over to bathe their hands in sanitizer prior to handing out the hosts to the faithful. After squirting the alcohol based goo on their hands they then line up to get their supply of wafers. While waiting the fun begins. Invariably they all have itches that must be scratched, hair that must be rearranged, or items of clothing that must be flattened. They obviously don't realize that the sanitizers kill 99.99 of bacteria they contact, except of course Norovirus, but once it dries they have NO residual killing affect. Unless they have just showered, put on clothing just washed in very hot water and bleach, and drove to church in their recently sanitized car, they are loaded with bacteria eager to jump on the unsuspecting communicants. The bottomline is that hand sanitizing is more for show than anything else. Wash your hands thoroughly and frequently and always before cooking and handing out food for your soul. It's January 3rd and you've been eating leftovers for ever. Your refrigerator has more Tupperware and aluminum foil wrapped stuff in it than the Container store. Did you know that Listeria will grow under refrigerated conditions? 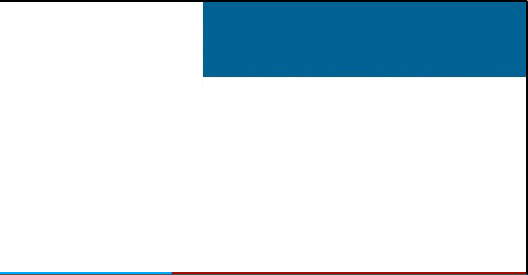 It multiplies slowly at first, but after a week it begins to expand at geometric proportions. Don't tempt fate. Listeria can kill. Be brave, open the door and dig into the aluminum box. Take it all to the garbage disposal or compost heap depending upon you ecological persuasion. Just get rid of it.